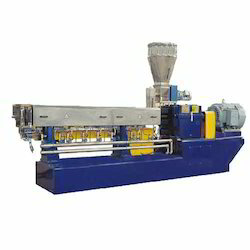 We are a leading Manufacturer of used twin screw extruder machine, extruder machine, used extruder machine, twin screw extruder machine, granulation line plastic recycling machine and straw making machine from New Delhi, India. Levering on our wide industry experience, we offer an extensive array of Used Twin Screw Extrusion Machine. These plants are developed using utmost quality raw material with modern technology at our manufacturing unit. In addition to this, our offered plants are also checked by our quality experts to ensure that the entire range is free from any production defect. Owing to our extremely talented team of professionals, we are engaged in offering excellent quality Plastic Extruder Machine. The offered machine is manufactured using the best quality components and modern technology in line with industry standards. 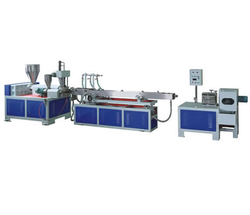 Moreover, this extruder machine is available in various sizes, designs and specifications. Clients can avail this paver block machine from us at nominal prices. 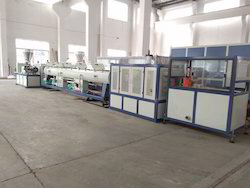 Leveraging by the vast experience of this domain, we have been able to offer the best quality of Used Extruder Machine. To manufacture the offered extruder machine in harmony with industry laid norms, our engineers make use of cutting-edge machinery. 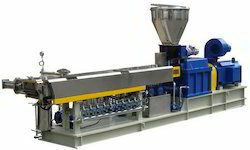 Rendered by us in various specifications, the offered extruder is valued for its energy efficient design, durable construction and user-friendly operation. 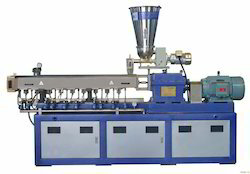 Our firm delivers precisely tested and a high-grade assortment of Granulation Line Plastic Recycling Machine. We at Neelgiri Group are the well-known suppliers of Straw Making Machine, which are well known for their quality and services. Looking for Extruder Machines ?